The creation of the WTO has provided unprecedented stability, predictability, and transparency to the management of international trade. 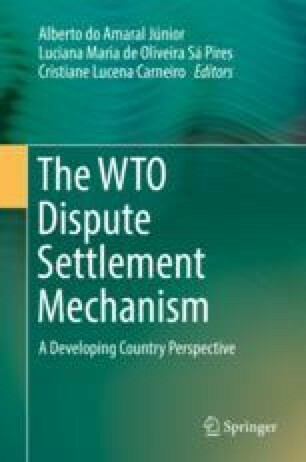 In order to ensure the relevance of its rules, the WTO agreements established an efficient dispute settlement mechanism and provided for future negotiations to complement and expand the scope of existing rules and commitments. The contrasting fortunes of these two pillars of the multilateral trading system raise questions about the extent to which litigation might make up for the difficulty in advancing comprehensive negotiations in the WTO. The views and opinions expressed in this article are those of the author and do not necessarily reflect the official policy or position of the Brazilian government.